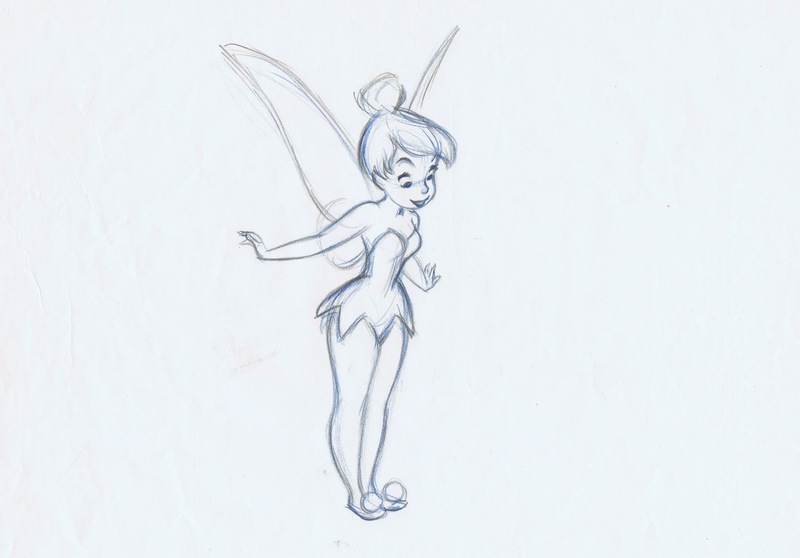 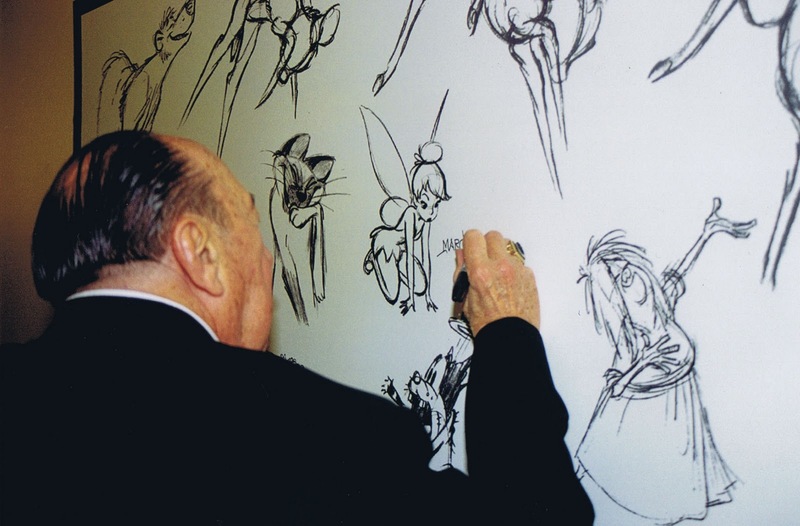 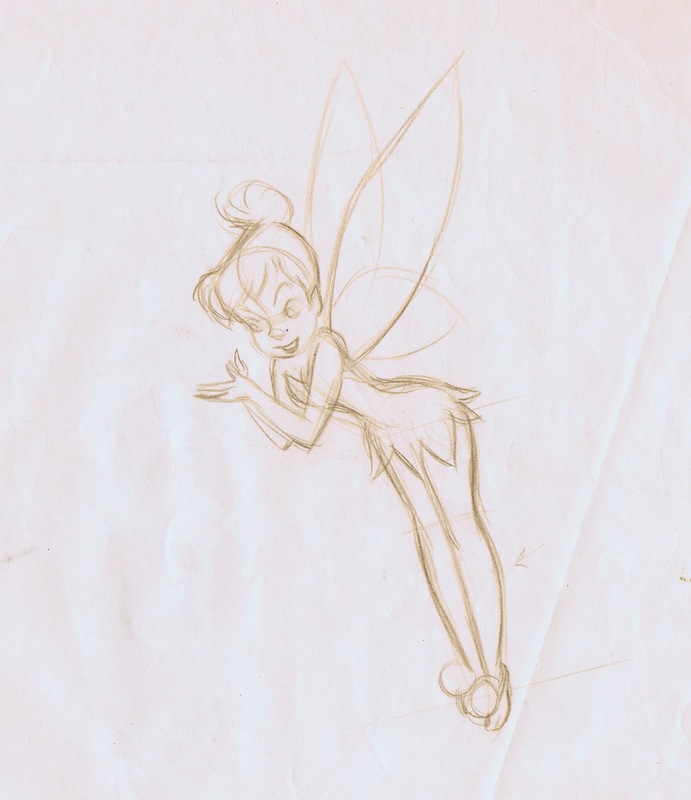 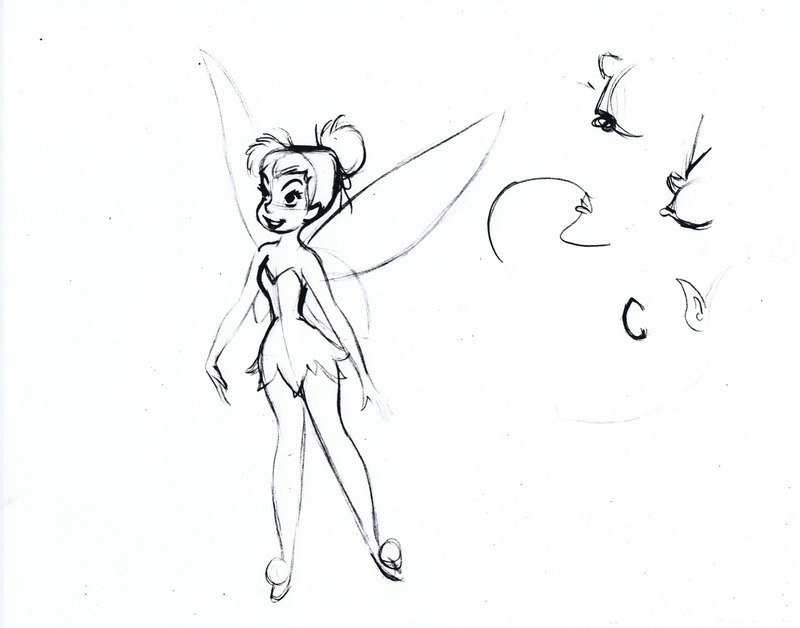 Here is a little gallery of Tinker Bell roughs by Marc Davis. 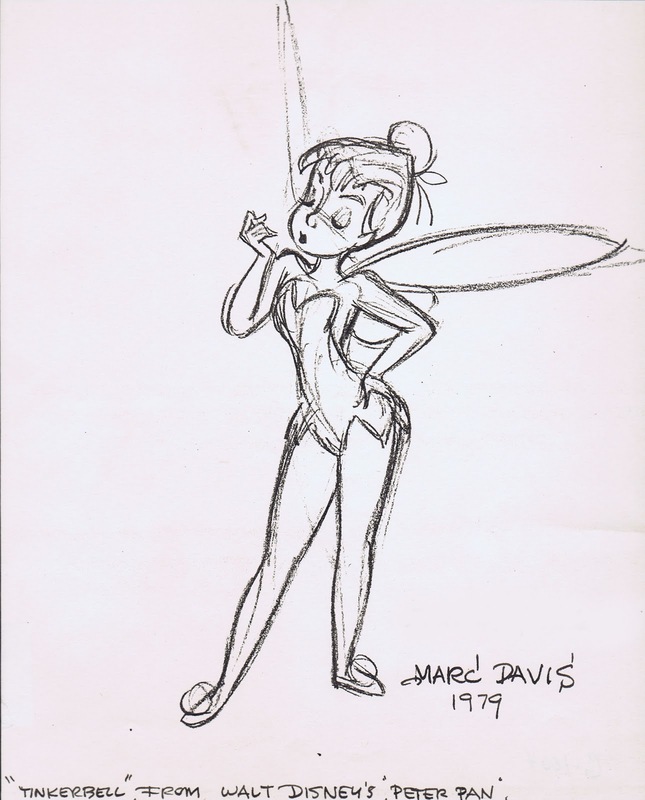 A few scans are from originals, others from photographic reproductions. 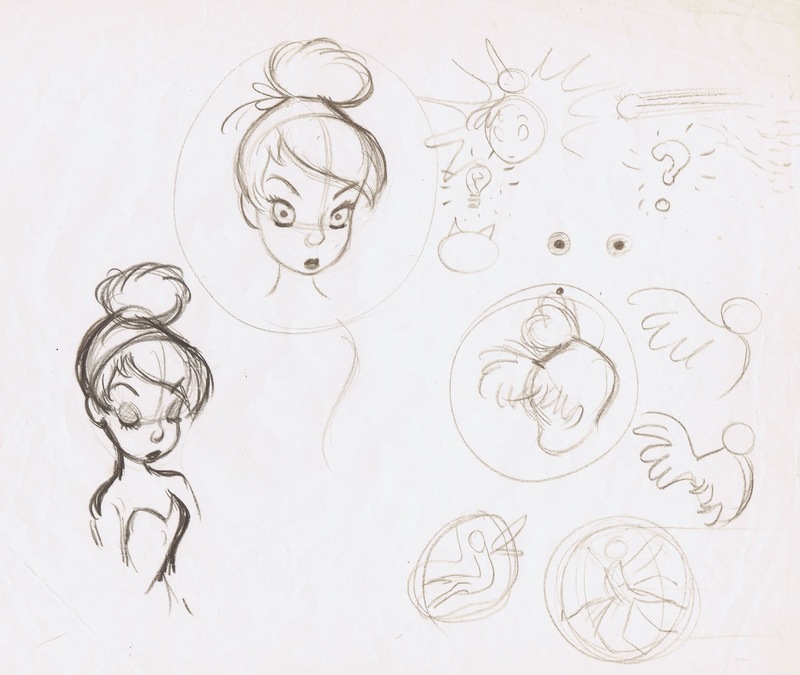 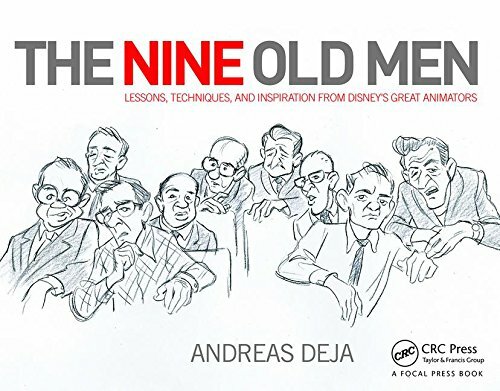 I really enjoy studying some of these doodle sheets, where Marc is figuring out the character's structure and is dealing with drawing issues. 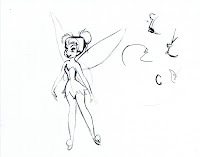 Then again some of the scribbles look more like telephone doodles. 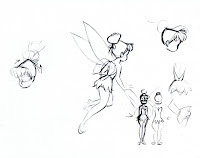 He is definitely establishing that the top of Tink's head is a straight line and the back of her head is a curve. 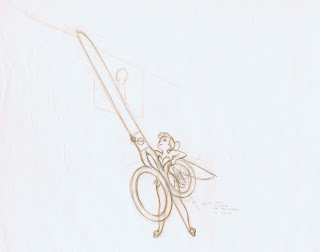 The combination of those two helps to make the drawing look solid. 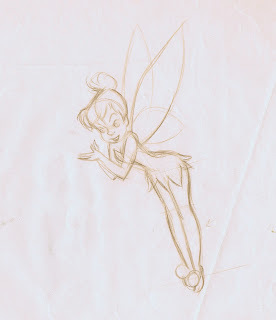 To me Tinker Bell is perfection. 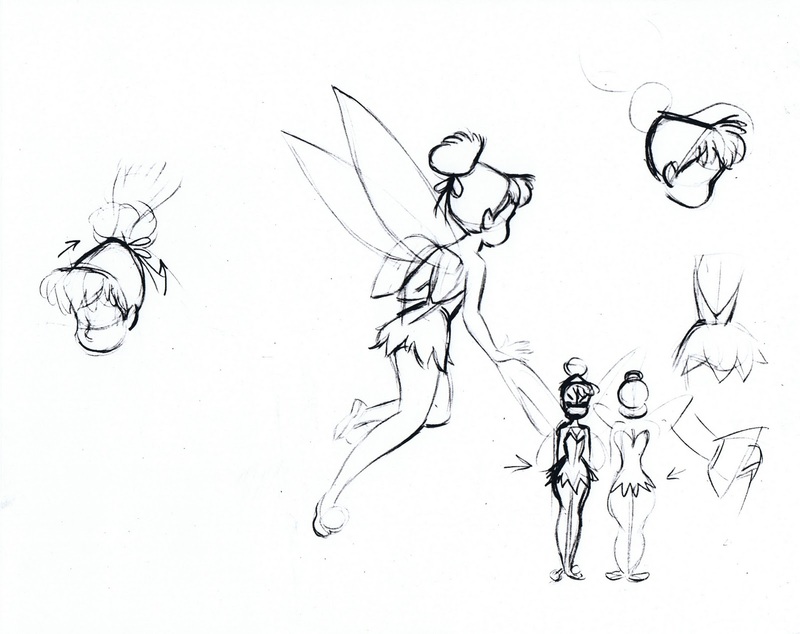 Her character arc in the story is very strong. Because of her affection for Peter Pan she is jealous of Wendy, which gets her into trouble. 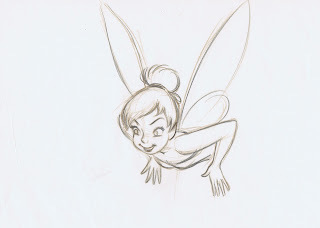 But toward the end of the film she saves Peter's life as well as the other kids. Marc animated her beautifully. 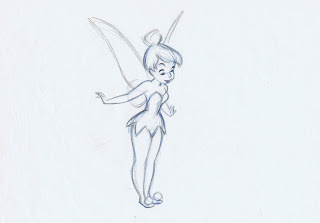 She always feels like a small figure, but the acting has great range and subtlety.